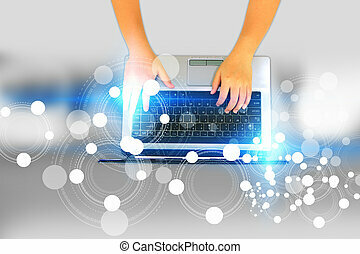 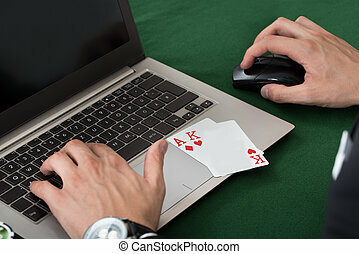 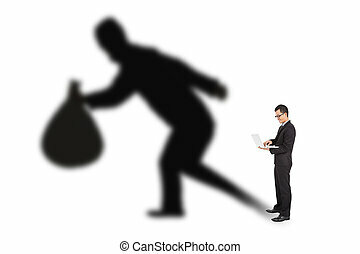 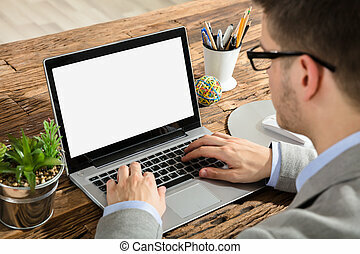 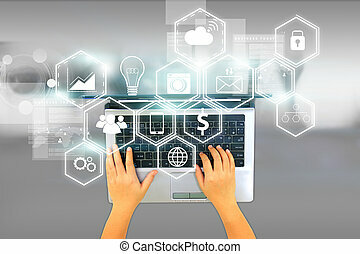 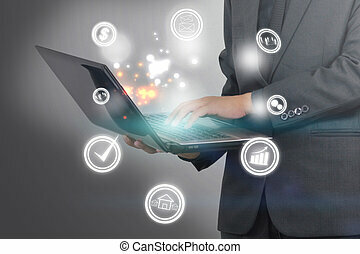 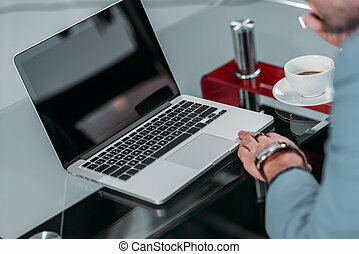 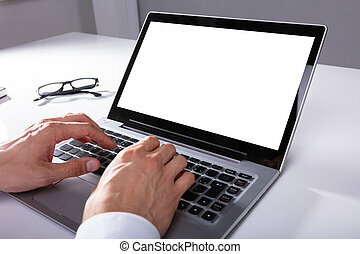 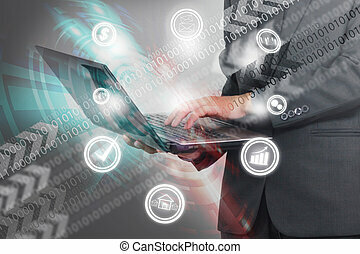 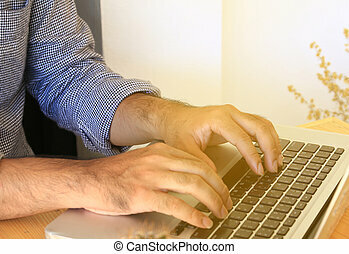 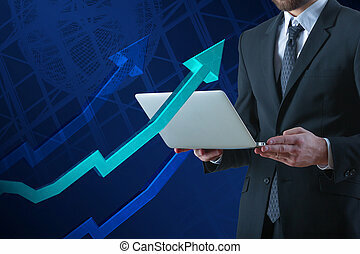 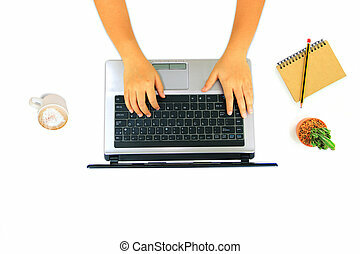 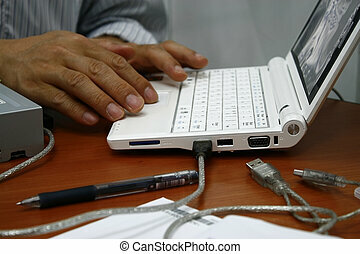 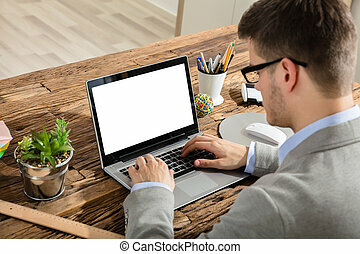 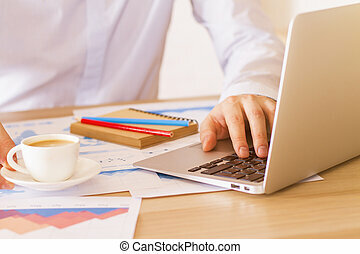 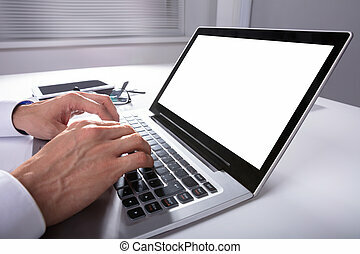 Businessman using laptop with social icons and virtual screen, Social media concept. 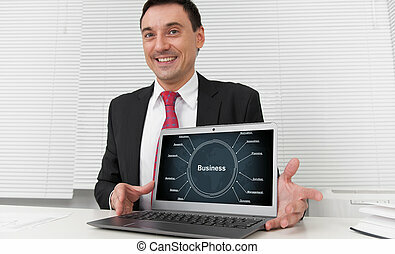 Businessman holding mobile smartphone with social icons. 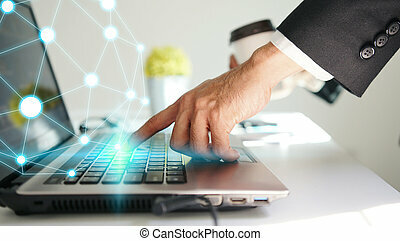 Businessman using laptop connecting, Social network concept. 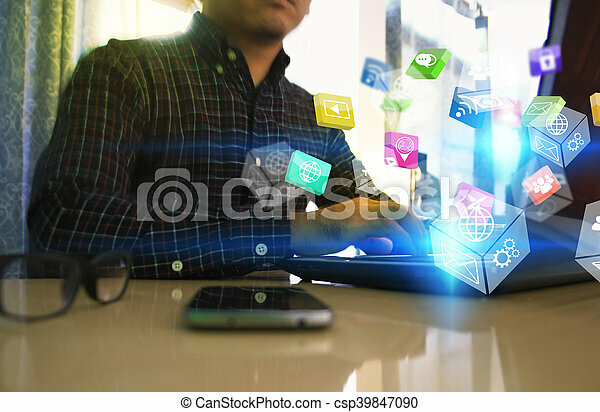 Businessman holding glowing globe with Social media icons.